It's Sock Yarn Studio. Since I have no shortage of sock yarn around here, it seemed like a good book to pick up (well, after my own book, Sock-Yarn Shawls, which will be available in mid-January, of course). 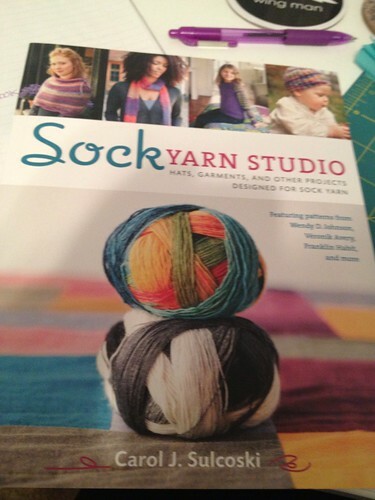 There are lots of pretty things to knit in Sock Yarn Studio with items designed by lots of great designers. My favorite item in the book is the Nuit Blanche Stole and Scarf by Veronik Avery. It. Is. Beautiful. 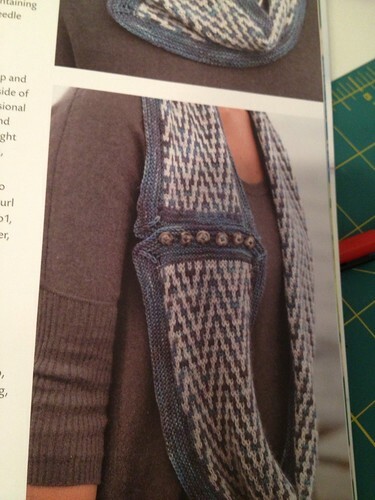 I will most definitely be making time to knit that in 2013! Did you get any good books for gifts over the past month? Which ones? Do ya like em?